So many students graduate with debt. In fact, student loan debt has surpassed $1 trillion, and the amount of student debt is higher than that of credit card debt. Chances are that you graduated with some student loan debt. I have student loan debt, and it should have been possible to get through all four years of my undergraduate education without it. We live in a society where debt is acceptable, and few people even consider living without debt. One way you can make paying off your loans more manageable is to consolidate your federal loans. Often, you can get a lower interest rate when you consolidate. Additionally, the payment is usually lower than what you are paying on your disparate student loans. You do need to be careful, though. In many cases, the consolidation will result in your term going from 10 years to 25 years. This can mean you pay more in the long run — unless you pay extra each month. Consolidate your loans to a lower interest rate and a single payment, and then work toward paying extra each month. It will help you keep better track of the situation, and might even help you save money. If you are willing to engage in public service, you might be able to get someone else to pay your student loans. A number of organizations, from Americorps to the National Guard will help you with your student loans if you give your time. Additionally, there are ways to get partial help for your public service. Teach in underserved schools, or offer your services as a doctor or lawyer to non-profits, and you can usually get some help with your student loans. When I signed up for automatic payments with my student loan consolidation almost eight years ago, I saw a drop in my interest rate. On top of that, after making on-time payments for three years, I got another drop in rate. The result is that my student loan interest rate is less than 2%. Check to see if you can get a break on your student loan rate with automatic payments. It might be harder with federal loans now, but you if you have private loans you might still have this option. A lower intrest rate means more money toward your principal, and a faster pay off. If you are really serious about paying off your student loan debt as quickly as possible, look for ways to reduce your expenses and then put that money toward paying down your debt. One of the best ways to cut costs is to move back home. If your parents are willing to help out, you can reduce your living expenses by living at home. You might need to do more chores, and you might have to pay some rent, but even those costs are usually less than what you would face on your own. If moving home isn’t an option, consider other ways to reduce your costs, from taking a brown bag to work to getting a roommate, to cutting the cable. With a little creativity, you are likely to plug money leaks and make progress toward paying down student loan debt. In some cases, you might have trouble paying down your student loan debt. In those cases, it’s a good idea to take advantage of hardship programs. You can usually defer payment on your loans, or receive forbearance. This can provide you with time to get back on your feet. It’s also possible to apply for income-based repayment plans for your federal student loans. This type of repayment can help you create a schedule that works with the realities of your income situation. These programs can mean a longer time in debt, and a larger repayment amount, but they might be just what you need to stay on top of the situation until your financial circumstances can be improved. Should You Pay Your Student Loan with a Credit Card? 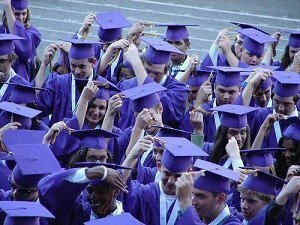 What is Student Loan Deferment and Loan Forbearance? Those are some good tips for managing student loan debt. Those of you who are interested in the deeper, more psychological level of the spending/saving issue might want to check out my column on The Psychology of Money and Happiness. The column is about this: No matter how shrewd we are about money management, serious efforts to restore financial health usually require us to reduce our consuming, and rather than being miserable about that, we can use psychological strategies to get more happiness from less stuff. Check it out!